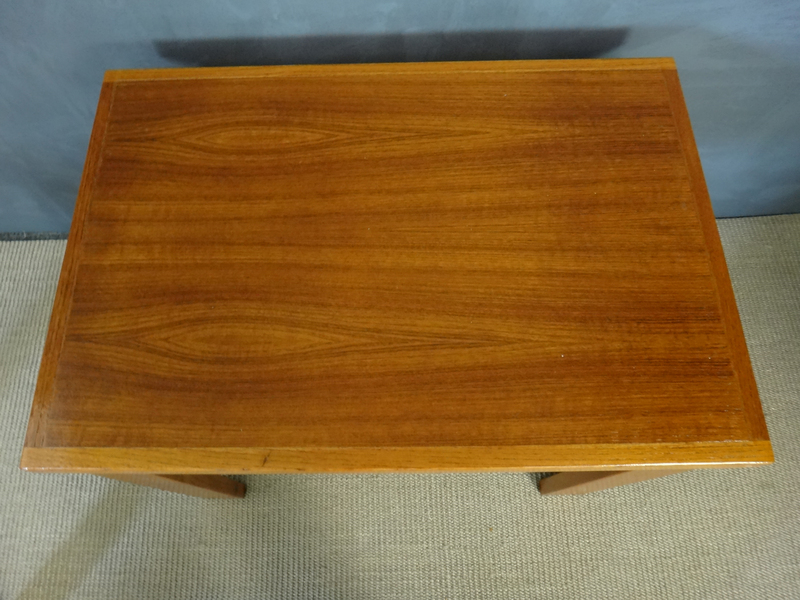 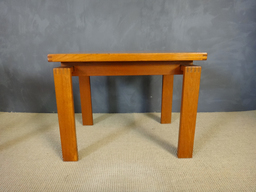 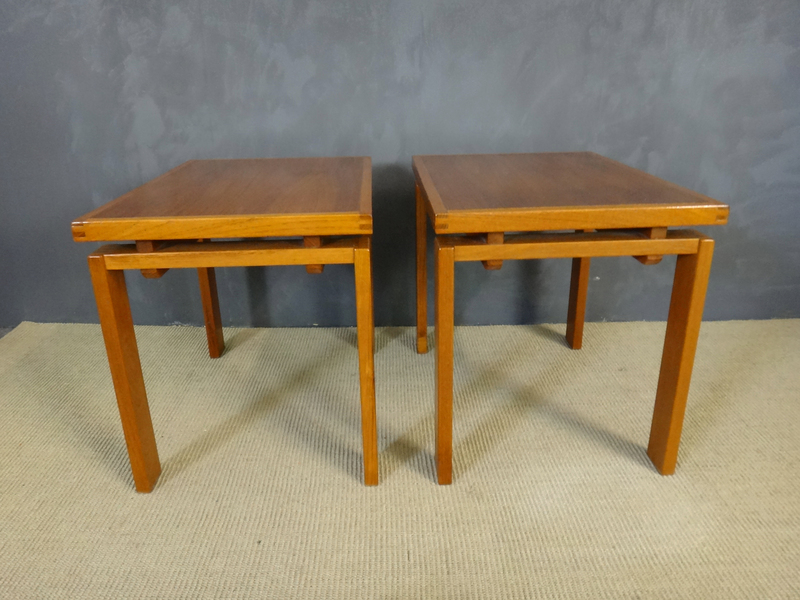 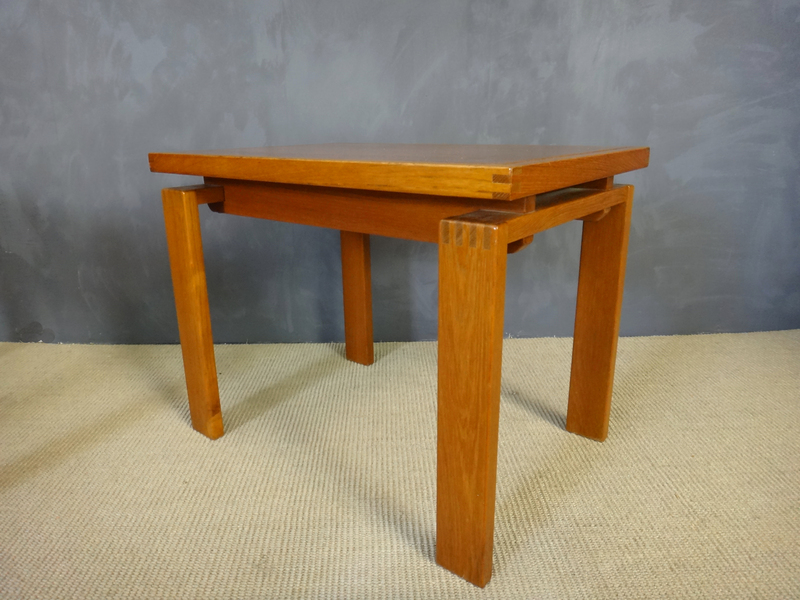 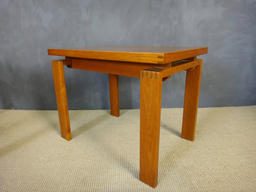 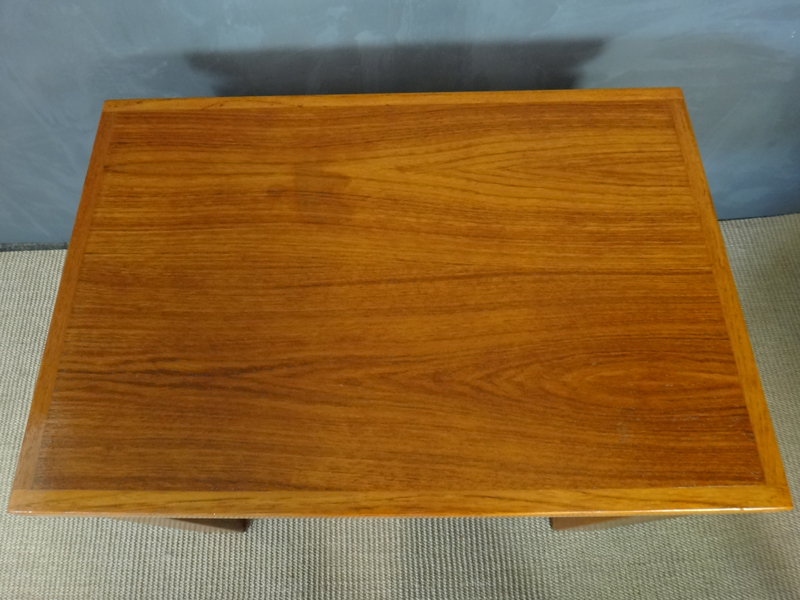 Pair of Danish modern teak end tables with unique construction and beautiful wood grain. 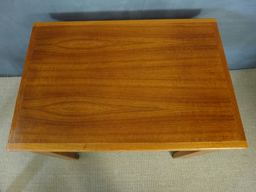 Stamped "Denmark." 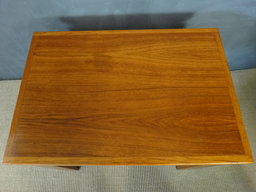 Pieces have been refinsihed but one has faint stain--see photo.